It was time for replacements. Thank goodness for sales. 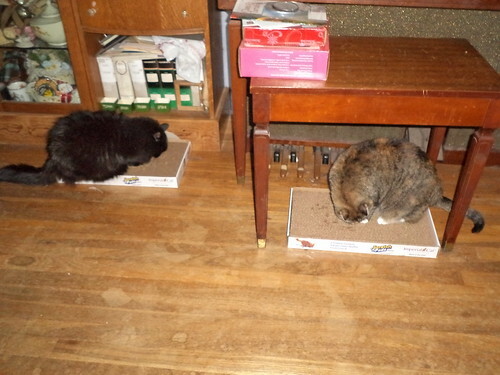 New scratching boxes arrived last week. Although the girls had been using the old ones, they use the new ones more. Pilchard sleeps on "hers". These will last a long time and kind of make up for my not being in the best of spirits during my illness.